An early goal from Marcus Rashford earns Manchester United a 1-0 win over Leicester City in Sunday's Premier League fixture at the King Power Stadium. A second-half goal from Jamie Vardy gives Leicester City a 1-0 victory against Chelsea in Saturday's Premier League encounter at Stamford Bridge. Sports Mole provides team news, predicted lineups and a full preview of Saturday's Premier League clash between Chelsea and Leicester City. Holders Manchester City reach the semi-finals of the EFL Cup courtesy of a penalty shootout victory over Leicester City at the King Power Stadium. Arsenal come from behind to record a 3-1 win over Leicester City in Monday night's Premier League clash at the Emirates Stadium. Liverpool make it four wins from four to record their best-ever start to a Premier League season courtesy of a hard-fought 2-1 victory over Leicester City. Harry Maguire nets a last-minute winner as Leicester City register a 2-1 victory over Southampton in Saturday's Premier League clash at St Mary's. 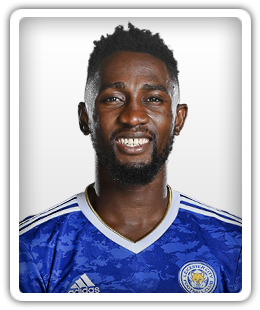 Leicester City midfielder Wilfred Ndidi commits his long-term future to the club by signing a six-year contract, keeping him at the King Power Stadium until 2024. Relegated trio West Bromwich Albion, Swansea City and Stoke City are reportedly all interested in signing Daniel Amartey from Leicester City this summer. Former Watford striker Odion Ighalo leads the line for Nigeria's 2018 World Cup opener against Croatia in Kaliningrad. Sports Mole provides predicted lineups, team news and a full match preview of Saturday's World Cup warm-up between England and Nigeria. Andy Carroll is named on the West Ham United bench for Saturday's Premier League encounter with Leicester City at the King Power Stadium. Leicester City striker Jamie Vardy describes his side's display against Crystal palace as "shambolic" after shipping five goals without response at Selhurst Park. Crystal Palace move to the brink of Premier League survival with a 5-0 win over 10-man Leicester City in Saturday's Premier League clash at Selhurst Park. James Maddison and Ryan Fredericks are reportedly summer transfer targets for Arsenal, who will attempt to offload Granit Xhaka and Shkodran Mustafi to make room. Leicester City manager Claude Puel rings the changes from the Premier League meeting with Southampton. Leicester City boss Claude Puel confirms that a hamstring injury will keep midfielder Vicente Iborra on the sidelines for the rest of the season. Joselu returns from an ankle injury to earn a place on the Newcastle United bench for Saturday's Premier League clash at Leicester City. Arsenal keen on signing Wilfred Ndidi? Arsenal are reportedly interested in signing midfielder Wilfred Ndidi from Leicester City. Leicester City midfielder Wilfred Ndidi pours cold water on speculation about his future amid reported interest from the likes of Liverpool and Arsenal. Arsenal are reportedly monitoring Leicester City midfielder and Nigeria international Wilfred Ndidi with a view to a summer bid. Brighton & Hove Albion fall to a late defeat in the Premier League as goals from Vincent Iborra and Jamie Vardy hand Leicester City a victory at the Amex. Liverpool make move for Leicester City midfielder Wilfred Ndidi? Liverpool are reportedly ready to make an official approach for Leicester City midfielder Wilfred Ndidi during the summer transfer window. Leicester City midfielder Wilfred Ndidi insists that his team are "not under any pressure" to beat Bournemouth on Saturday afternoon. A report claims that Jurgen Klopp will be backed to spend big in the summer transfer window after Liverpool recorded a £39m profit in the last financial year. Leicester City boss Claude Puel says that he is 'happy' for Wilfred Ndidi to be linked with a transfer to a bigger club during the summer transfer window. Stoke City remain in the Premier League relegation zone, despite earning a 1-1 draw from Saturday's Premier League clash at Leicester City. Leicester City skipper Wes Morgan returns to the side's lineup for their clash with Stoke City. Leicester City midfielder Riyad Mahrez starts on the bench for the Foxes against Manchester City.